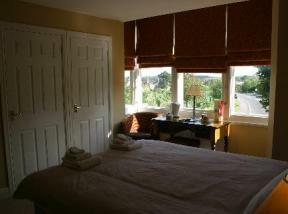 A lovely family friendly guest house in Dorchester with large, spacious and well presented rooms. This elegant Grade II listed Town House is situated in the popular county town of Dorset. Carole and Jay Leatherland welcome you to the George Hotel, for Bed and Breakfast accommodation in what was originally a large Victorian vicarage situated in a quiet area on the Dorchester Road.